As a relative newcomer to hip-hop, I’ve got to admit that the London Posse are a group I haven’t been familiar with until now (I know). Having read through the press release, it’s fairly clear that I have committed some kind of heinous crime as a self-proclaimed music lover. That said, better late than never and, if you’re in a similar boat to me, I can hopefully help you right this wrong too. 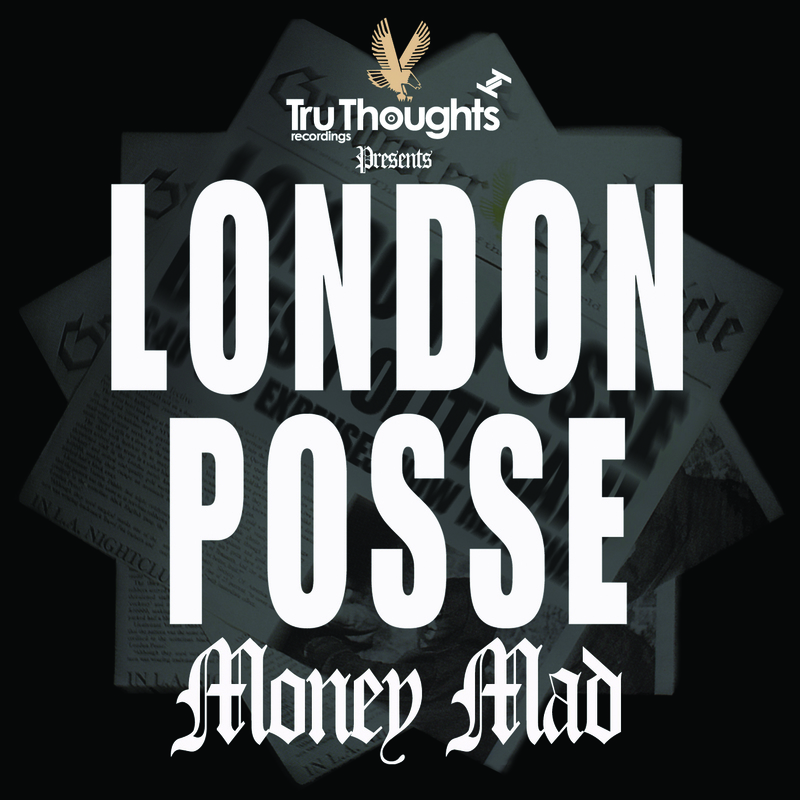 The London Posse are held-up as one of the most definitive hip hop crews of all time, with their single ‘Money Mad’ widely regarded as the finest rap recording ever made. 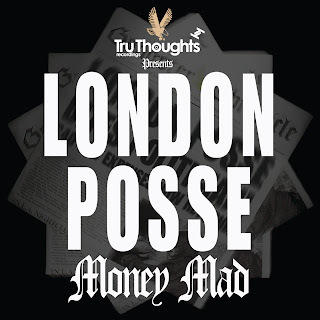 Released as part of their ‘Gangster Chronicle’ album some 20 years ago, Tru Thoughts have taken it upon themselves to put the album back into circulation for a new generation, with ‘Money Mad’ the first single release from a deluxe re-issue package due to hit shelves on 17th June. In its original form, ‘Money Mad’ is a dub-infused hip hop cut offering raw reflection of urban culture all those years ago, a scene which ultimately inspired a world of new producers and led to the prevalence of a genre that continues to dominate dancefloors and evolve to this day. The track is sensitively bought bang up-to-date by TT’s dubby new boy Wrongtom, as well as Drumagick who gives the single both a jungle and dubstep slant with two very distinct reworks. If you’ve been living in ignorance like me, get involved as this single plays like a precious musical relic – essential listening for anyone with an interest in the roots of contemporary hip-hop and rap. Check the mini documentary below to learn a bit more about this seminal act.